It’s safe to come out now: With the long winter months (finally!) behind us, there’s no better way to celebrate than by taking advantage of all that the outdoors have to offer. Whether you’re lounging by the pool, playing a pickup game of volleyball, enjoying a picnic in the park, or just out catching up with friends, we’ve got the best bets for your bag to ensure you’re covered whenever, wherever the carefree days of summer take you! Don’t let your face outshine the sun: Small enough to fit in your wallet, these blotting papers are great for avoiding an oily summer don’t. Papier Poudre Oil Blotting Papers are ideal for afternoons spent out in the heat: They absorb the accumulation of oil and sweat on your face, leaving a light, invisible powder for a freshened-up look. Available in an assortment of skin-tone choices, these papers eliminate the need for constant touch-ups and reapplying. The end result leaves you looking moisturized, not greasy, and – best of all – free from stressing your sweat. Flat, limp, hair can be a year-round hassle, and the hot summer months do nothing to minimize the problem. Luckily, there’s Oscar Blandi’s mini version of his Dry Shampoo. Without stripping hair of its own natural oils, the shampoo absorbs oil buildup while strengthening and increasing volume at the roots. Light enough that it doesn’t weigh your hair down, this product is particularly good for those with little time for washing and styling. 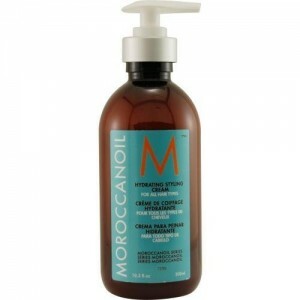 Simply apply between washings to give your hair extra bounce. As an added bonus, Blandi’s shampoo can be used as a corrective for clean hair that’s been subjected to too much product (we’ve all done it) – just spray and refresh! Tired of sticky sunscreens? Supergoops’s SPF 30 Sunscreen Swipes with Zinc for All Skin Types (even suitable for sensitive skin) is the answer to your woes. These wipes are pre-moistened, ready to calm, soothe and protect your skin from the harsh summer rays. Not only will the non-greasy formula keep your hands fresh and dry, the Zinc Oxide and green tea ingredients in this handy purse essential will help to reduce irritation and redness. 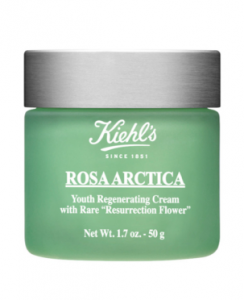 Even better, it gently removes sand while preventing signs of aging. Cleanse your skin on the go! Especially with the hot summer heat causing bacteria and oil build-up on your face, it’s essential to have this handy pick-me-up stashed in your purse. Made safe-to-use for sensitive skin, this wipe is formulated with extra mild cleansers that gently moisturizes while leaving skin feeling soft, smooth and refreshed! Chapped and dry lips are always a no-no. To prevent embarrassing chapped lips, the Sugar Honey Tinted Lip Treatment by Fresh is a great on-the-go product to store in your purse. Insuring long lasting hydration and moisture, this lip treatment helps to further nourish your lips while keeping wrinkles and damaging UV rays at par. The tint is adjustable upon your preference with more or less applications. Perfect for any skin color! Now you can have minty fresh breath everywhere you go! These SmartMouth On-The-Go Packets can give you up to 12-hours of fresh breath whether you’re at the beach, out on the town, or even on the plane. They are so simple to use, just tear off the top and pore the content into a mixing cup or simply pore it directly in your mouth. This is definitely a purse must-have! 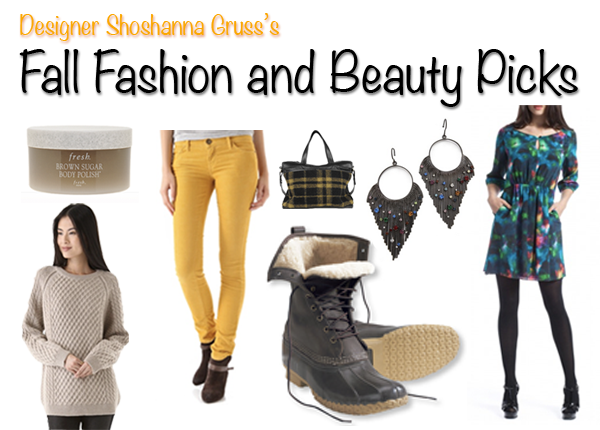 Summer is just around the corner and before you know it you’ll be showing more skin. If your skin is still a shade of winter white, self-tanner is the safe answer to achieving a summer glow before you hit the beach or pool. A smooth and natural application is easy to get at home if you exfoliate first. Here are some of my recommendations for soft and beautifully bronzed skin. All products tried and true! 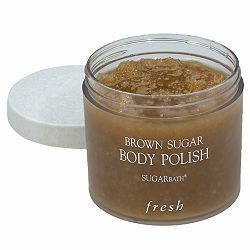 This Brown Sugar Body Polish is an all-natural scrub made with real brown sugar crystals and natural humectants that rid your skin of dry skin cells while preventing future moisture loss. The scrub blends four natural oils that deeply moisturize and nourish the skin. I am a huge fan of this product and have been using it for years to keep my legs from looking like the skin of an alligator. One of the best scrubs on the market. Nothing is sweeter than Milk and Honey, this scrub included. Made of pure Honey and Soy Milk protein, this body exfoliator will help your skin feel it’s softest! Kiehl’s body polish is also infused with Shea and Jojoba Butters, Sweet Almond Oil, and Luffa Fruit for a nourishing effect. It does not leave an oily residue on the skin so makes a great pre-tan scrub. I am obsessed with the amazing scent! Burt’s Bees is becoming the go-to natural drugstore brand known for great ingredients like pomegranate. 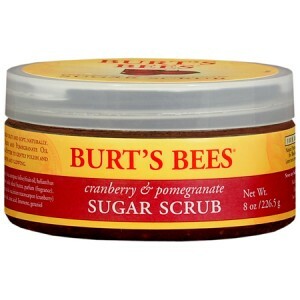 This sugar scrub smells delectable and leaves your skin oh-so-smooth. Really a two-in-one, there is no need to moisturize after use. A celebrity favorite, this gentle facial scrub is made of 30% minerals, bentonite clay, and moisturizing agents that scrub dirt softly away while toning and moisturizing your skin. 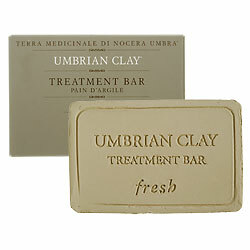 It is extremely mild, treating your face with the utmost care. This facial scrub uses 100% Natural Green Tea to enhance your skin with Vitamins C and E and an abundant amount of anti-oxidants, which help prevent aging. The scrub also contains extracts from olive oil and olive leaves. 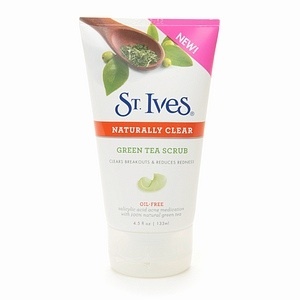 Dermatologist tested and hypoallergenic, this Green Tea Scrub clears away breakouts and reduces irritating redness too. I have a serious problem with self-tanning products that smell yucky. The ones below not only give you the most natural-looking tans, but smell great too…REALLY! Other than a tan, nothing says summer more than a fresh scent –this tanner combines both with its sun-ready tone and summer sweet cucumber melon scent. What also makes it so special is that it has an adjustable dial that allows you to customize your tan from light to dark so even a self-tanning rookie can achieve a flawless application. Xen-tan is a favorite of the royal maid of honor, Pipa Middleton as well as Giuliana Rancic. I love this product big time, especially because it does not stain your clothing. Need I say more? 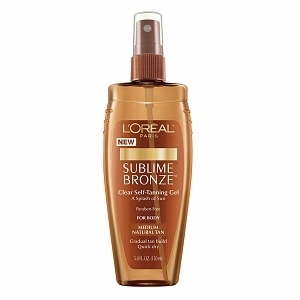 This self-tanner has a duel identity, moisturizing as it gradually darkens your skin-tone for a beach-ready bronze! 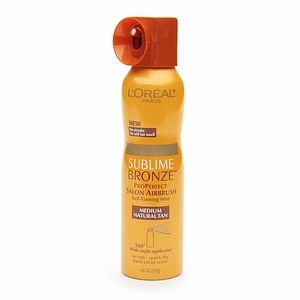 If you don’t like applying self-tanners that are bronze colored because they can stain your clothes, this is the perfect product for you! It is a clean white cream that is dermatologist-tested and meant for both your body and face. Using it a few times a week will create the perfect sun-kissed skin. 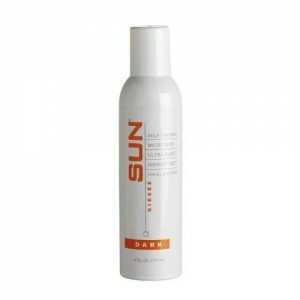 This is the perfect self-tanner for fair-skinned tones and those of you who like or prefer using organic products. 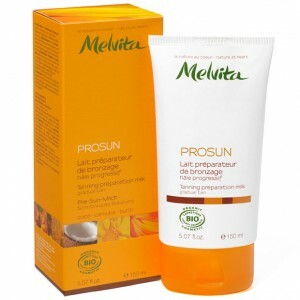 Made with active extracts from Carob and Sugar, this organic tanning milk gives your skin a healthy and gradual tan. Safflower and Coconut oils soften the skin while the Buriti oils protect it from dehydration. No need to get your hands dirty, this self-tanning spray let’s you apply the liquid evenly without ever having to rub it in. This product darkens your skin instantly, and works best after exfoliation. I personally love the shade of this tan that is created by using it. The spray smells great and your golden glow will stand strong for 5-7 days after application. The new mist is amazing and similar to what you would achieve from getting a professional spray tan. I like it because it’s super easy to get to those hard to reach places like your back. No more tell tale white spots! The scent is very light and nice. Affordably priced too. Another great drugstore find! This product is a clear gel and works very well on all skin types. The tan is bronze colored and very natural. It is important to make sure that all spots are covered when applying including ankles and knees, inside of arms and back of legs. If you miss a spot, just fill it in with the spray mist product.